Rattan Bar Set to seat 6 people - available to buy now! Enjoy alfresco drinks with FLAMINGO M! Enjoy that holiday feeling at home! 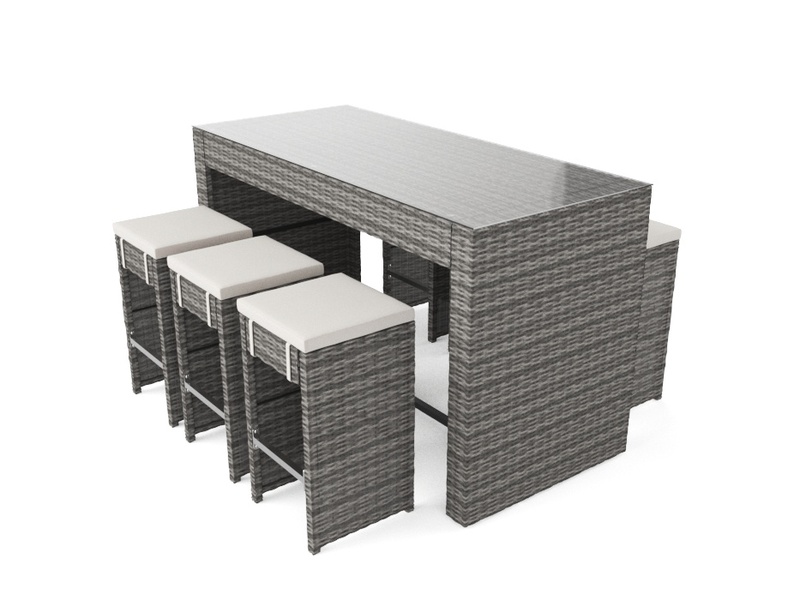 This stylish rattan bar set is a real eye catcher and bound to impress your guests. It will compliment any pool area, garden or patio. The synthetic rattan is UV resistant, so there’s no need to worry that the black, brown or grey rattan strands are going to fade at the first hint of sunlight. The bar wouldn’t look out of place in your conservatory in the winter, or even in your kitchen as a breakfast table. 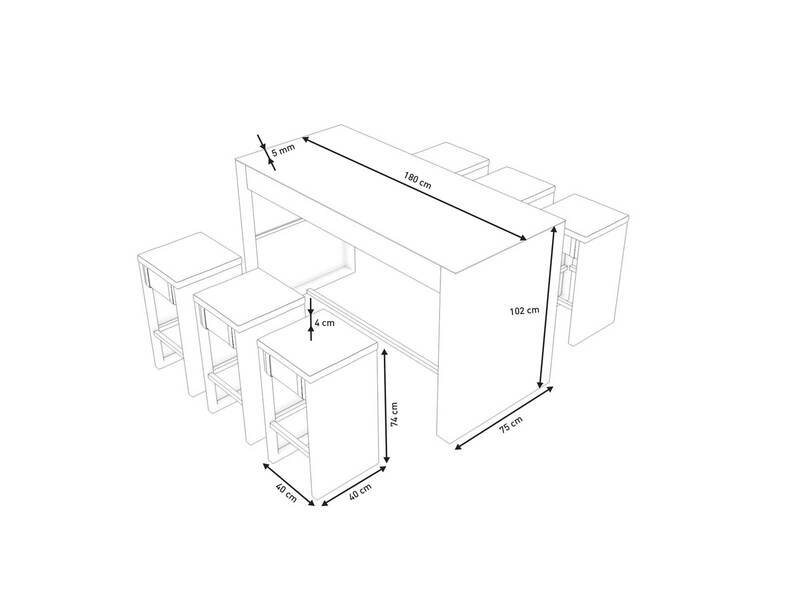 The table is 180cm long, so there’s plenty of space for 6 people to sit on the 74cm high bar stools. When you’re not using the bar set, simply push the stools under the table to keep things neat and tidy. Your guests can rest their feet on the sturdy feet bars. Like the rest of the set, the frame of these is made from sturdy powder-coated aluminium. You’ll never fail to be impressed with the FLAMINGO M Rattan Bar Set! The synthetic rattan is weather-proof. The cushions are water-resistant and comply with UKFR (UK fire regulations). The set will be delivered unassembled! Some self-assembly is required! The set will be delivered unassembled! Some self assembly is required!